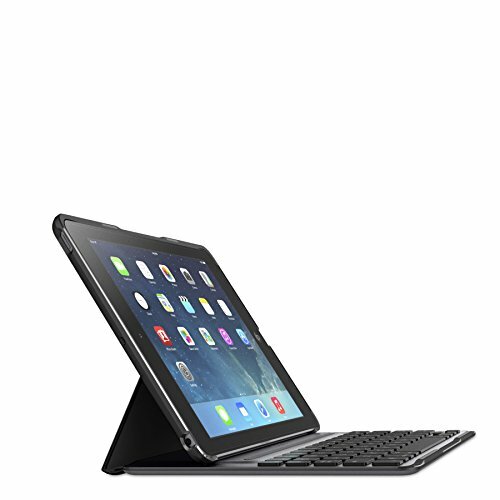 The Logitech Create – Backlit Keyboard Case with Smart Connector has been exclusively designed for the Apple iPad Pro 12.9. As a top-grade tablet case with keyboard, it offers many excellent features that are all designed to enhance your experience while using your iPad Pro. This keyboard case does not require Bluetooth pairing with your iPad Pro and does not require separate charging. The keyboard is powered directly by your iPad Pro. The keyboard has large backlit keys with adjustable brightness that allow you to use the keyboard in the dark or in low-light conditions. It additionally features a dedicated row of iOS shortcut keys as part of it’s full size layout. These keys allow you to adjust the screen brightness, control audio volume, and search the web with just one press of a button.